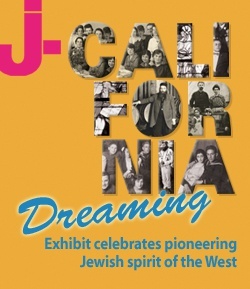 California Dreaming exhibit celebrates pioneering Jewish spirit of the West – J. Inside the golden domed sanctuary at San Francisco’s Congregation Sherith Israel, light pours in through an iconic image on colorful stained glass. It’s familiar, certainly: Moses carrying the Ten Commandments down the mountainside. But on closer inspection, that’s not Mount Sinai behind him — it’s Half Dome. And the Israelites gathered to receive him on granite rocks bursting with lush greenery? They’re perched at the gateway to Yosemite. The glasswork, ensconced in one of the oldest synagogues west of the Mississippi, is a fitting emblem for the history of Jews in the Bay Area — a complex, multilayered and always evolving story. It’s one of several images in the spotlight as the Contemporary Jewish Museum debuts “California Dreaming: Jewish Life in the Bay Area from the Gold Rush to the Present.” The exhibition, at once an interactive walk through what it has meant to be Jewish in the Golden State for the past 160 years and a call to talk about the future, opens Thursday, Nov. 17. To that end, Wolf and curator Dara Solomon turned to local artists, historians and Jewish leaders to compile information about the individuals who have shaped the community — from big names like Levi Strauss to everyday heroes, such as the Jewish chicken farmers who helped establish Petaluma. Along with Dollinger, advisers included Fred Rosenbaum, author and founding director of Lehrhaus Judaica, and Frances Dinkelspiel, a journalist and fifth-generation Californian. The resulting exhibition is as layered as the community it represents, weaving back and forth in time from the Gold Rush (when large numbers of Jews began arriving in California) through the present. Two original commissioned works, by local photographer Rachel Schreiber and filmmaker Pam Rorke Levy, serve as the centerpiece, while five open-ended questions about Jewish identity provide the framework through which visitors experience artifacts, photographs and written narratives. “This really was my dream project, as someone who works as both a historian and an artist,” said Schreiber, the director of humanities and sciences at the Oakland campus of California College of the Arts. Recurring themes in her portraits include labor history and activism. “Site Reading,” the artist’s set of eight photographs for the exhibition, builds on that work by pairing contemporary images of Bay Area landscapes with narratives about the everyday people who once lived or worked there, offering what she calls “footnotes” to more widely known, official histories. A photograph of a housing block inside Manzanar, an internment camp where thousands of Japanese Americans were held during World War II, gives way to a poignant story about a Jewish woman who willingly moved from San Francisco to the camp to be with her Japanese-born husband and son. A shot of San Francisco’s Moscone Center in its present form doesn’t hint at what took place on the site in 1885, when a Jewish labor activist, a Polish immigrant, gave a rousing speech decrying anti-Chinese discrimination at the union hall. Schreiber used archival research and fire insurance maps that are part of the public record to piece together these little-known snippets of local Jewish history. “I love the research aspect of it. I read a lot of footnotes,” she said with a laugh. Levy, an award-winning independent filmmaker and former producer at KRON-TV, echoes that sentiment in a short documentary commissioned for the exhibition. In it, Bay Area Jews from diverse backgrounds discuss how they got here and what the Jewish community has meant to them. Featured is Leo Horovitz, who grew up in Germany on the eve of World War II, got to London through a Kindertransport and eventually wound up in Berkeley, working for the Lawrence Berkeley National Laboratory for many years. “He had grown up in an Orthodox household in Germany, and by the time he got here he had rejected not only the rules of Germany but also of Orthodox Judaism,” explained Levy, whose daughter Beryl worked as an associate producer and interviewer on the film. Horovitz pursued other spiritual interests, including traveling to study shamanistic practices in South America, before coming back to Judaism late in life through the nature-based study group Wilderness Torah. Others who are profiled illustrate the complexity of the community. Dinkelspiel, whose great-great-grandfather was banker and philanthropist Isaias Hellman, speaks as a Bay Area native with deeply embedded roots; while another woman discusses moving from Oklahoma City and converting at age 50 after “finding a home in Judaism,” said Levy. 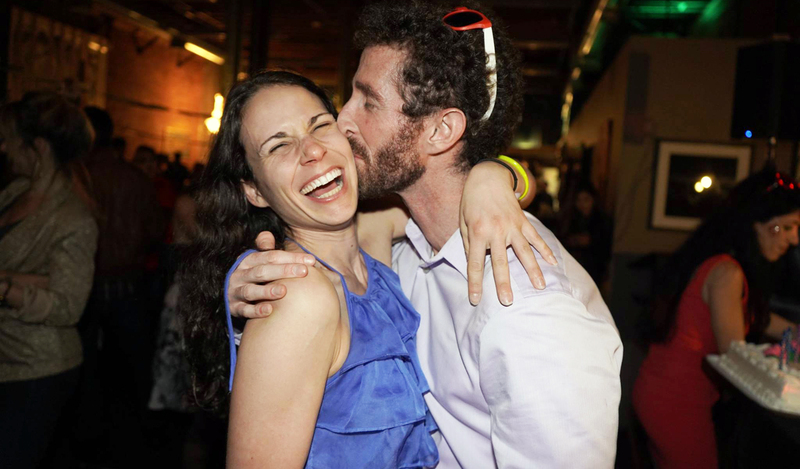 Seen altogether, Levy added, her subjects demonstrate that there truly is no “typical experience” for a Bay Area Jew. However, certain themes emerged. Against this backdrop, the questions raised in the rest of the historically focused exhibit read as timeless inquiries, designed to provoke thought about modern Jewish life in the Bay Area, as well as its past. The first section asks “What does it mean to be the first?” and covers the Gold Rush–era establishment of the city’s early Jewish institutions, including Congregation Sherith Israel (founded predominantly by Eastern Europeans), Congregation Emanu-El (whose worshipers mainly were from German-speaking countries), and the first Jewish cemeteries (in Pacific Heights and Dolores Park). The question in the exhibit’s second part borrows from Hillel: “If I am only for myself, what am I?” It examines the notions of tzedakah and tikkun olam, including institutions such as the Eureka Benevolent Society (founded in 1850), which evolved into today’s Jewish Family and Children’s Services, and other organizations with century-old commitments to social justice. “What is the promised land?” begins the third section, which explores different interpretations of the term, from the stained-glass depiction of Moses in Yosemite through the changing meaning of the word “Zionism.” The importance of agriculture and the growth of Jewish environmentalism as a Bay Area–centered movement also is addressed, portraying groups such as Hazon and Urban Adamah as carrying on the tradition of early Jewish chicken farmers, who taught themselves to work the land in Petaluma while their counterparts on the East Coast were toiling in factories. The fourth question, “What is a Jewish leader?,” concerns the Bay Area’s first Jewish politicians, writers, artists and activists, as well as leaders in larger movements such as the suffragettes. Here we learn the story of Rachel “Ray” Frank, known nationally as the “girl rabbi of the Golden West” and considered the first female rabbi in America until 1972, when a woman was ordained by the Reform movement. Born to Polish immigrants, Frank taught in the mid-1880s at Oakland’s First Hebrew Congregation (Temple Sinai today), where her students included Gertrude Stein and Judah L. Magnes. She rose to prominence after a scathing Jewish New Year sermon in Spokane, Wash. in 1890, in which she lambasted Jews who focused more on materialism than on spirituality. The fifth and final section refers back to Jewish writer Stein, who spent her childhood in Oakland, by asking, “Is there a there there?” Here the viewer is asked to consider an incongruity: Home to the third-largest Jewish community in the country (after New York and Los Angeles), the Bay Area has no Jewish neighborhood or center. A photo wall to which visitors are invited to submit their own family or historical photographs rounds out the exhibition; a collection will be on display at the CJM and on its website. The museum put out the call for submissions in August, and Wolf said hundreds of photos already are available to view. “California Dreaming” opens Thursday, Nov. 17 and runs through Oct. 16, 2012 at the Contemporary Jewish Museum, 736 Mission St., S.F. www.thecjm.org.